Does the Financial System need New Guard Rails? “As the Obama Administration works up its 12,487th plan for keeping underwater homeowners in their homes, Arizona’s legislation may have the courage and good sense to do the obvious: let foreclosed homeowners stay in their home as renters. A bill was just introduced in legislature that would allow homeowners in houses that sell for less than the median price to remain in their home as renters for at least one year following foreclosure. With this simple gesture the Arizona legislature could do more for the nation’s underwater homeowners than all the brilliant DC policy wonks have managed to accomplish in the last three years with all their billions of dollars. The legislation would give low and moderate-income homeowners security in their homes. It doesn’t make them jump through hoops and prove to bureaucrats that they were worthy. It doesn’t require them genuflect before loans servicers or bankers. This is a good first step and we can only hope that Arizona lawmakers follow-through and provide some badly-needed relief for the victims of the mortgage fiasco. But let’s not kid ourselves, the banks are not going to roll over and die. They’re going to fight this thing tooth-and-nail and do everything in their power to stop this mini-uprising from mushrooming into a full-blown rebellion. This is the type of populism that can leapfrog from one state house to another if it isn’t nipped in the bud. Besides, the banksters have no intention of taking orders from “do-gooder” politicos or allowing people to stay in homes if it denies them their pound of flesh. They’ll just ring-up their legal team and drag it out in the courts. But the bankers have bigger problems than the mutiny in Arizona. That’s small beer compared to the boatload of non performing loans and mortgage-backed securities they still need to dump. And that’s become a much more difficult process, now that the public’s radar is on high-frequency and politicians are backing away from anything that smacks of a bailout. That’s why most of the ideas that are currently under consideration have been kept out of the media. One such idea–promoted by John McCain’s former economic advisor–is is for the Treasury to use $75 billion from the TARP fund and lever it at 10 to 1, so that the banks can write-down the mortgage principle on millions of delinquent loans and, thus, keep the homeowners out of foreclosure. In other words, the Treasury will act as a sovereign hedge fund providing borrowed capital for cramdowns to keep the banks from losing more money. This would provide nearly a trillion dollars of public funding (which would cover most of the future losses from defaulting ARMs and Alt A mortgages) without congressional approval. Naturally, the bailout would be accompanied by a public relations campaign that would divert attention from the banks and focus on the (fictional) beneficiaries of government largess; aka. struggling homeowners. So, as soon as subprimes started detonating at a 6 percent rate, Treasury Secretary Henry Paulson went into crash-alert mode and began looking for a place where his buddies could offload their dodgy assets. As the article suggests, Paulson finally decided that Fannie and Freddie were the only practical option. And that’s just one of many stealth bailouts. There are others, too. Like Bernanke’s quantitative easing (QE) shell game. QE was promoted as a way to increase consumer lending by building reserves at the banks. Only it doesn’t work that way. What QE really does is exchange bank reserves for “unsellable” mortgage-backed securities. In other words, it trades quality, liquid bonds for illiquid assets of uncertain value. The arrangement allows the banks to earn interest on reserves at no cost to themselves, while the Fed is saddled with downgraded securities for which there is no current market. If you are the Fed; you just got taken to the cleaners. Bernanke implemented the “good bank/bad bank” model that was recommended after the Lehman default, but without any strings attached for the banks. Since then, it’s been one ginormous government-paid freebie after another. Rather than nationalize the banks so they could be cleaned up, reorganized and recapitalized. Bernanke found a way to rebuild balance sheets, restore profitability, and preserve the banks political firepower without any fundamental structural change. None of the head honchos at Morgan Stanley, Goldman Sachs, Citigroup or JP Morgan lost their jobs. The same wobbly, crisis-prone system has been reassembled without the slightest change to the blueprint. Now all Bernanke needs to do is figure out how to get rid of all the crummy MBS he just bought and he can take a sabbatical. And that shouldn’t be too hard either. Treasury Secretary Geithner, who has been working on the problem from the get-go, will probably buy the sour assets incrementally and then discreetly move them to Fannie Mae where they will reappear as quarterly losses. And that will be the end of the toxic assets. So, how will all these stealth bailouts effect the economy? While diverting trillions of dollars into broken institutions is a bad idea in the best of times; it’s much worse during a downturn. Confidence is flagging because unemployment is high. And unemployment is high because demand is weak. That means that the money that should be going to people who will generate more economic activity, is actually going to prop up lending institutions that don’t lend and banks that operate as casinos. What sense does that make? The bailouts are not the problem, they merely indicate the extent to which the banks control all parts of the political apparatus. That’s right, the problem is political not economic. 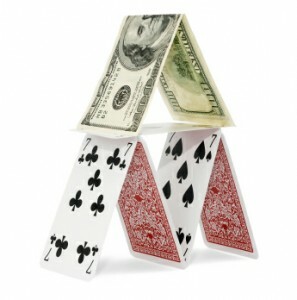 Speculators will always try to bend the rules and game the system. It’s human nature. But it’s the public’s responsibility to make sure their representatives keep a tight leash on the high-stakes gamblers and other flim-flammers. That means tough, hardnose regulations; a new regime of stop signs, speed limits and guard rails. Cross the meridian, and it’s “off to the poky”. Presently, the rules only apply to those who are not powerful or well-connected enough to shrug them off, which is why the system is broken.